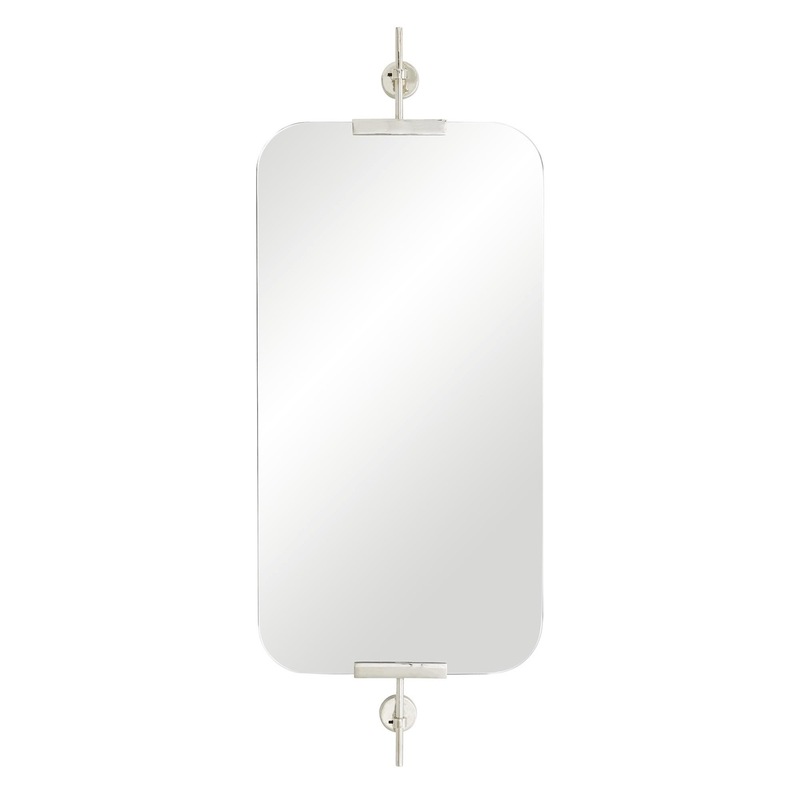 Hovering slightly away from its anchors, this beautiful mirror has a sophisticated and captivating presence. 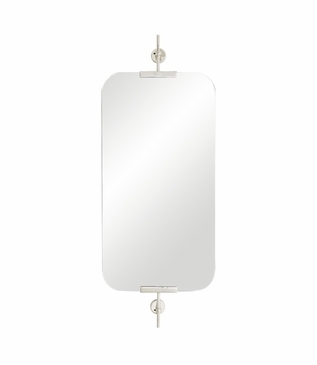 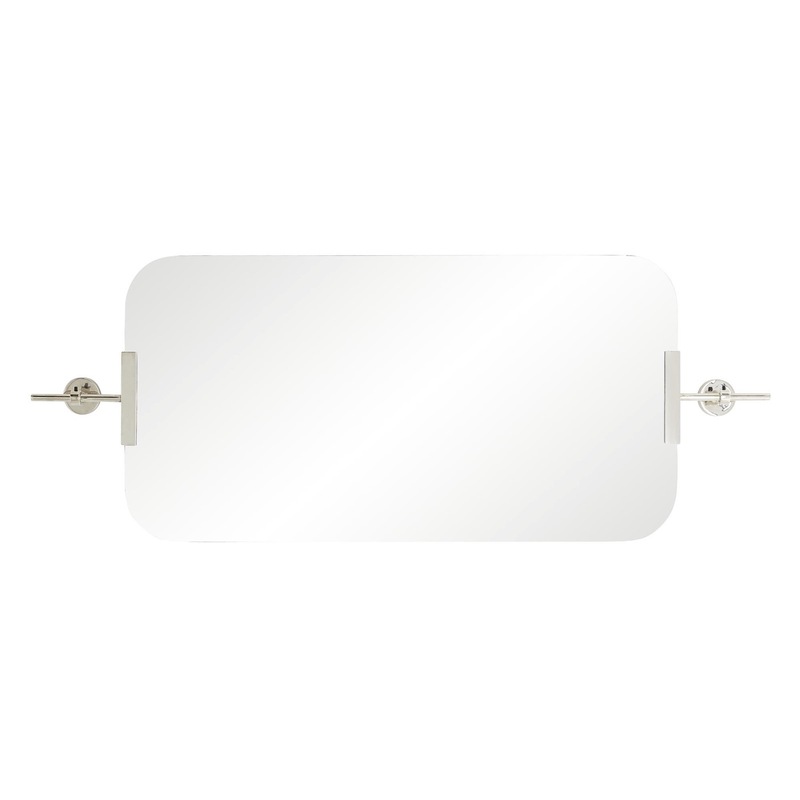 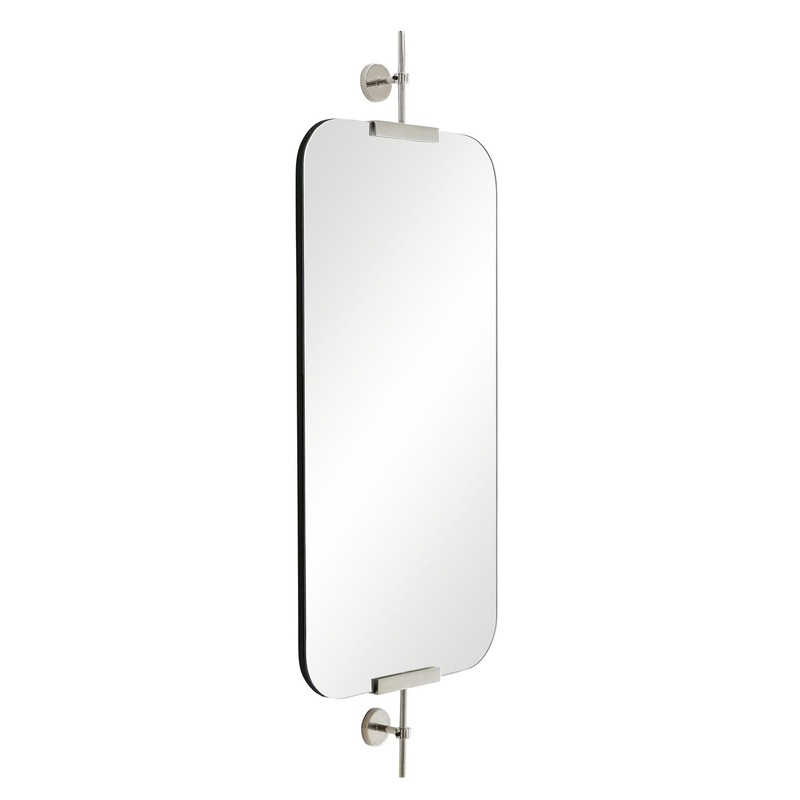 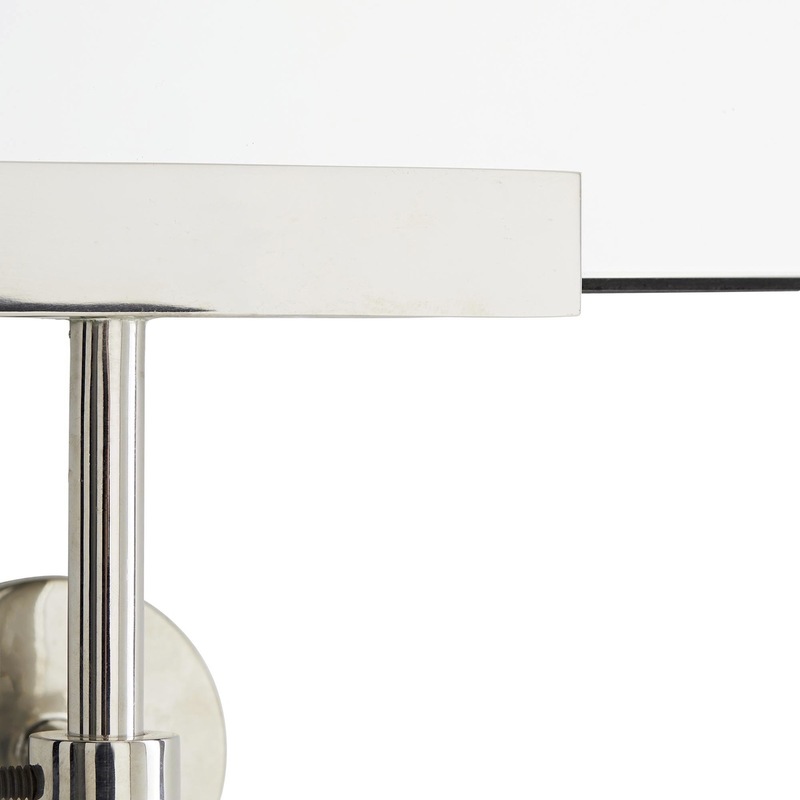 Two polished nickel brackets hold a rectangular, plain glass mirror with rounded corners for a softer appearance. 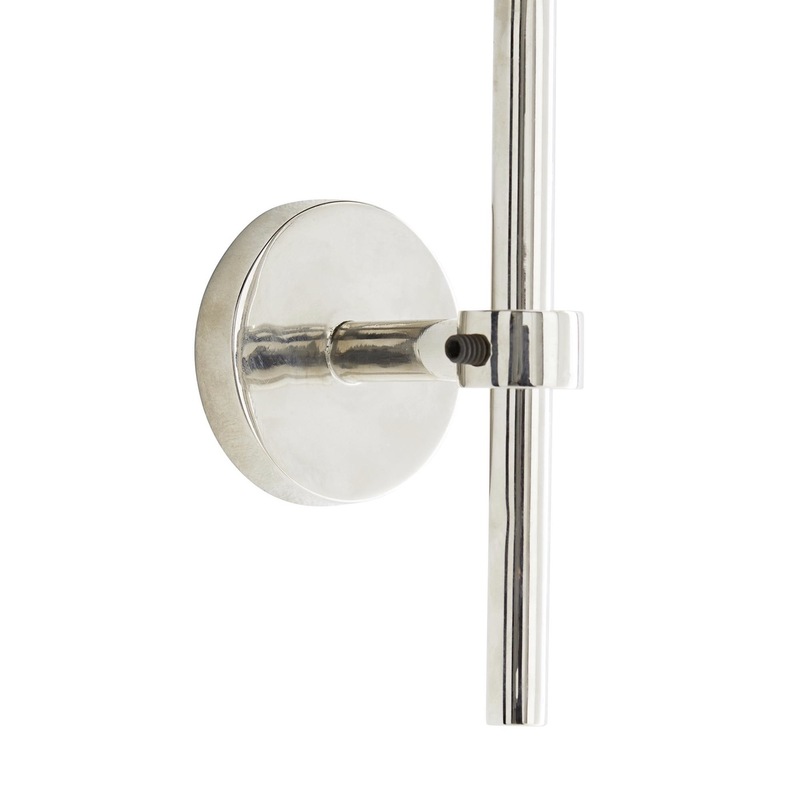 This piece may be hung vertically or horizontally, using two security cleat attachments (included).